The Chicago Blackhawks' leading goal scorer from 2013-14 is the subject of our latest player evaluation, as Patrick Sharp's season goes under the microscope. 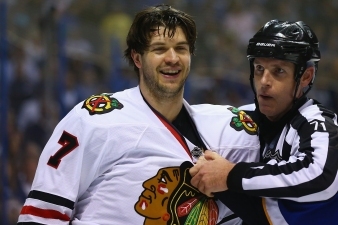 The Chicago Blackhawks have some of the best defensive pairings in the league, and while Brent Seabrook didn't have his best year in 2013, he had a better campaign than many fans realized. 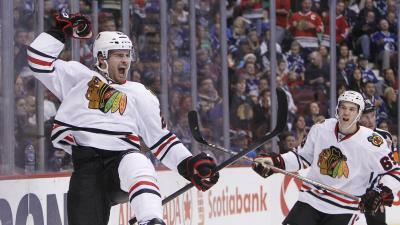 The Chicago Blackhawks will be reporting to training camp in a little over two weeks, and one of the key players to their season will be third-year forward Brandon Saad. The Chicago Blackhawks will begin their training camp in less than three weeks, but just how big a role will Michal Rozsival play? We answer that question and more in his player evaluation. 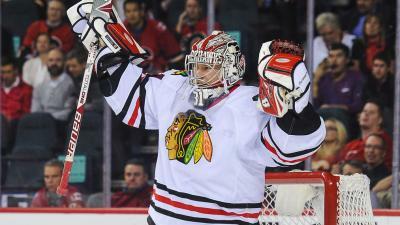 The Chicago Blackhawks have Corey Crawford firmly established as their starting goaltender, but Antti Raanta showed some flashes of brilliance in the 2013-14 season. Our player evaluation series continues on Friday as we examine the season of Chicago Blackhawks defenseman Johnny Oduya. Our series of Chicago Blackhawks player evaluations continues today with forward Joakim Nordstrom, who will be looking at grabbing a fourth line role with the team this fall. While Jeremy Morin was only an occasional contributor for the Chicago Blackhawks in the 2013-14 campaign, there were skills he displayed in that limited run that could prove useful to the team next season. 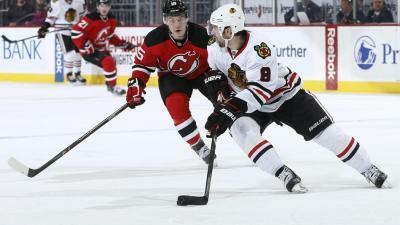 The Chicago Blackhawks have two of the top defensive pairings in the NHL, but Nick Leddy is still a force to be reckoned with despite his lower stature on the depth chart. 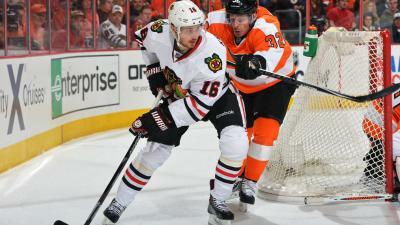 We continue our player evaluation series today by examining the season of Chicago Blackhawks forward Marcus Kruger.